The past few years we've made this cheesecake for Easter dessert. 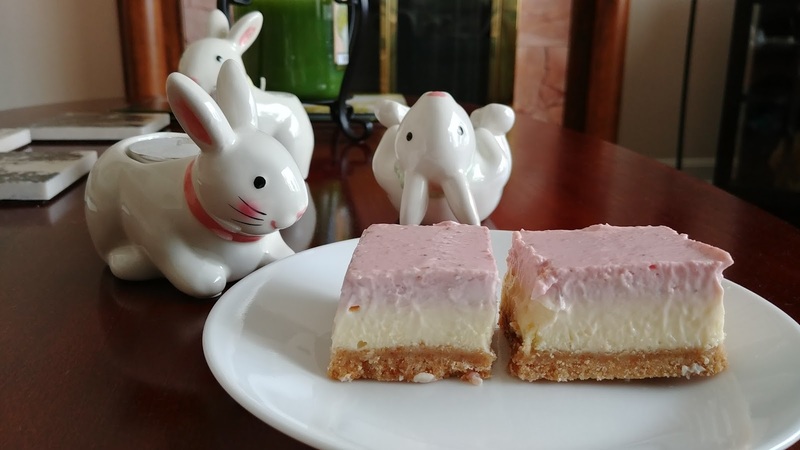 It's what we would have made this year, too, if not for MIL giving us the April/May 2018 issue of Cook's Country and us immediately spotting the Strawberry Cheesecake Squares. It's a little time consuming, but simple. 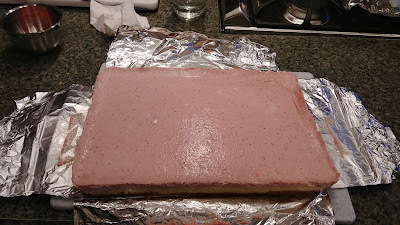 We made our graham cracker crust Saturday night and covered it overnight. 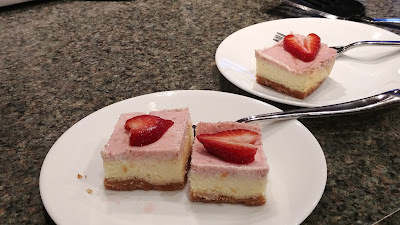 Sunday we made the cheesecake layer and strawberry topping layer and baked them. For Easter, we garnished the squares we ate with a strawberry slice, but for desserts during the week, we're not bothering to garnish the squares. I think these are pretty and spring-like to look at because of the pink topping. I thought the pink layer might be too tangy from the sour cream, but it's not. 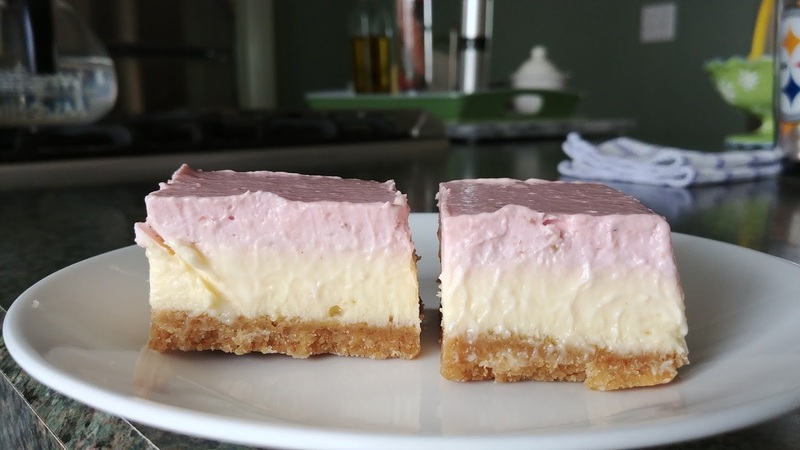 The cheesecake layer is nice and smooth and creamy and light, though it seems strange to call a cheesecake light. 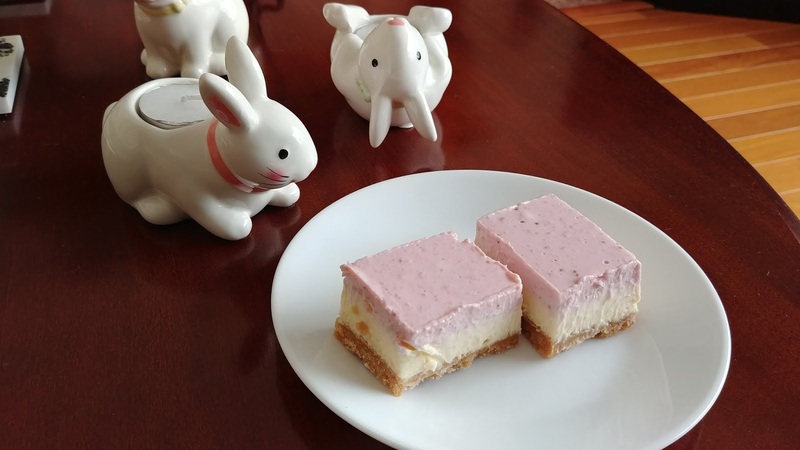 It's not dense and heavy like some cheesecakes I've eaten. I also like that the fruity/strawberry part isn't a runny or gelatinous glop of too sweet fruit. I like that it's tangy and smooth and just a tad sweet. These are definitely a make again dessert. 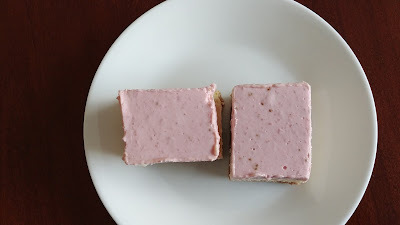 Strawberry Cheesecake Squares - recipe here.